Dancer and artist Megan Walker Straight was one of the few original cast members of The Merce Cunningham Dance Company from 1980-1986. She had the opportunity to work alongside Merce himself, performing in multiple pieces, furthering her understanding of dance. She also danced with many prestigious dance companies in New York City including Kenneth King, Douglas Dunn, and Lucinda Childs (“Merce Cunningham Trust”). I had the chance to speak with her at Simon Fraser University on Thursday February 5, 2015 about the most pivotal moments in her career. Her experience at The Merce Cunningham Company not only provides further insight on Merce Cunningham’s creative thinking and methodology, but also her own accomplishments as a dancer. Today, as a fellow of The Cunningham Trust and a sessional dance instructor at Simon Fraser University she continues to inspire young dance artists and offers a wealth of both knowledge and experience in the field of dance (Walker Straight). Working closely with Megan both in and outside of class, including the remounting of Native Green, she has been much more than just a teacher, but an inspiration to me. Although The Merce Cunningham Dance Company is no longer a company today, the technique and the art Merce left behind continues to live on. MP: First of all, I just wanted to thank you for sharing your time and knowledge of dance with me today. MP: So, I just wanted to start off with how or what initially inspired you to begin dancing and what continues to motivate you during your career? MWS: I guess my first inspiration was the first modern dance class I ever took, which was a Horton class. It was an interdisciplinary university dance class with a bunch of people, about 50 of us, who had never danced before. I’d never done anything like that, and I was immediately blown away. After that I started going to the studio regularly for classes and it just evolved from there. And so what continues to motivate me is from the first time I danced. I just loved it. I just loved it. I had fun. I enjoyed it. It filled up all sorts of wonderful things for me. MP: When did you initially start dancing? What age were you? MP: Wow! So was it hard to start dance at an older age, because I know when I started dance, I was a tiny 5 year old girl? So was it difficult in that sense? MWS: Yeah. It was hard because in my head always was that “I’m too old to do this, to start this”. So that got in the way. Until one day, someone who was a dancer, who was a friend of mine, said to me “if you want to be a dancer, you should be a dancer. If you want to be a dancer, go for it”. And it was just enough, because someone who was in the field, in the profession, encouraged me. And it wasn’t that she was encouraging me so much because she thought I was great. It was just because she thought you should always encourage yourself to do things. So in that sense it was hard to start late and I had a lot to learn. But since I started with such maturity, I knew how to work properly and I knew how to learn. I knew how important it was to work really hard, and I didn’t waste any time. I did probably a hundred times more than anyone else, because I felt a hundred times behind everyone else. MP: Did you always know you wanted to be a dancer? Did it ever occur to you? MWS: Once I had that first class, I knew that this was going to be my passion. There was a time actually before that when I was a freshman or sophomore in high school where a friend and I went to go see the San Francisco Ballet in San Francisco. We were living in there at the time, wandering around the city, and the San Francisco Ballet was doing Swan Lake. So we went and we sat in the balcony, because tickets were cheap, and I remember thinking to myself “I wish I could be a dancer”. The only time it ever occurred to me. “I wish I could be a dancer”, and I thought for a moment or two about going to a ballet class, but I never did. There was no one in my life that did that. I didn’t have any influence. I think that if I had that influence young, I would have found it young. Annie Leibovitz, Portrait of Merce Cunningham, 1997, 600 x 464, Courtesy of ArtsAlive.ca. MP: So how did your career as a Cunningham dancer start? MWS: How it began? When I was in university the dance classes were Graham classes, which I liked because I liked all dancing. But in terms of the work, when I saw the Graham Company performing, it didn’t interest me. And then when I saw the Cunningham Company performing, it interested me because it baffled me. It left me able to not worry if I understood the piece correctly, unlike the way I did when I watched Graham classes. “What myth is this? What she doing now? Who’s killing who? What’s this about”? I knew it was about something, but I couldn’t follow it through movement. I didn’t get it. So I felt pressure to understand the piece a certain way. And that got that in the way of my enjoyment. Whereas with Merce’s, it was just, I could do whatever I wanted with it. And it was beautiful to me, the movement was beautiful. Then when I started to understand more his aesthetic and his philosophy it was way more in line with my interest than the Graham stuff. So I was drawn to his philosophy and his aesthetic. And then the further reason I went to Cunningham is that I could get a scholarship to the studio. So I went there. MP: So I know Cunningham dance is quite unique in its style. So why do you think it’s so unique it your opinion? Why is it so different from any other genre of dance? MWS: I think it’s partly to do with the era, that generation of dance. During that time, there were these companies based on one person like Limon, and Ailey, and Martha, and Merce. It was very significant I think to them all to stand apart from one another in their techniques and in their repertoire. And often they stood apart by reacting to one another. So I think a lot of what Merce did came from a direct reaction to Graham, because he once danced for Martha. Like for example, if she does a lot of floor work, I’m not going to do a lot of floor work. If she starts on the floor, we’ll start standing up. You know, often just the obvious. It was like ok that’s been done, what can I do that’s different? Same thing with when he decided not to follow a narrative line. Same thing when he decided not to use music as the groundwork with his dancing. So what makes him unique are his choices and his ability to stand apart from what other people are doing. 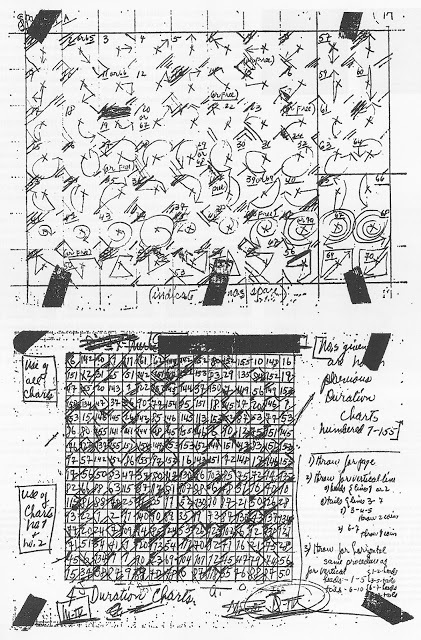 Suite by Chance – Circuit Board, 1953, 1052 x 1600, Courtesy of seeding-projects.blogspot.com. MP: So I know you said that Merce didn’t use a narrative line during his work, and often relied on chance operations to put his pieces together. What was it like being in that atmosphere? Was it challenging, and if so why? MWS: We as dancers were mostly not part of the way he used chance operations to choreograph. Merce did this on his own, using chance operations to manipulate the phrases, space, timing, and the actual dancers involved. Then he would bring the final result to us, in the studio, for us to dance. And if it wasn’t quite working as he hoped he would make changes at that time, with us. The thing about chance and the difficulty it created for me is that by randomly altering the more expected possibilities of movement, Merce disrupted the more natural order of things and so I needed to become more alert. Even if I wasn’t involved in the initial stages of how the dance might be put together, I had to cope with the oddness of what evolved from Merce’s interest in removing personal choice from the equation. Also, during his creation process he would also sometimes manipulate various parts of previously choreographed dances and collage everything in a new order to create Events. So, in learning the Event performances we had to quickly learn and remember how everything was being put together and overlapping in new ways on stage. We would do this rehearsing in the afternoon before the performance. This was tricky because it was almost like a whole new dance, you know. We always had sheets of paper posted outside the stage space with the order for us to refer to throughout the performance. It was like a long list of material some of which you were in and some of which you weren’t. So you could have hard Events or easier ones. Over time he began to repeat Events two, three, maybe four times and this was less confusing. MP: You also said that Merce always kept the music separate from the movement. Was this challenging for you being on stage and hearing the music for the first time? I know I experienced a touch of this, during the remount of Native Green I performed in. It definitely created a unique atmosphere for me. Personally this was my first time experiencing music and movement separate, and it really changed how I interpreted movement and the dance. MWS: It was not particularly challenging for me to hear the music for the first time at the performance. It was exciting. My music came from rhythms created by my body dancing the steps. We never trained in a way that relied on music to dance. It’s like we had an honest freedom to find the way a phrase should work itself out without needing to be bound by the musical phrasing. So it freed us as dancers rather than bound us. Instead we were bound to each other for cues, timing, stuff like that. The only challenge for me personally was often the music was very loud and was a big surprise at times. Like in a hard balance a huge noise occurs! Or the whole score could be loud and unsettling, certainly not melodic. And as you likely experienced dancing in Native Green the sound would create an environment of its own that could be distracting. And distraction during Merce’s pieces was not a helpful place from which to accomplish the dancing! MP: Ok. 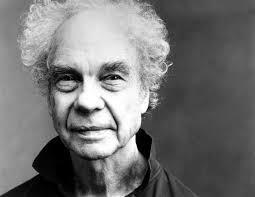 So what was it like working alongside Merce Cunningham, like during his creation processes? MWS: You sensed you had to be mature; you had to be self-motivating. You couldn’t rely on his constant helping you along. You had to figure things out on your own. You had to trust that he admired and respected and was ok with the way you did things because he didn’t really let you know that. Umm, so in that sense you had to have a certain kind of maturity and belief in what you were doing and the way you were doing it. Umm, what was the question again? MP: What was it like working alongside Merce Cunningham? MWS: Oh right! He was very generous and kind and not interested in critiquing you or being negative. If he felt negative about something you were doing he just wouldn’t get involved. He was very separate. It was hard, because it wasn’t like working on one project where you’re learning one dance. You learned a whole bunch of dances in the repertoire. So it was a lot of intellect and memory – physical, kinesthetic memory to remember all those pieces. And of course Merce was mostly interested in the piece he was working on, the new piece he was working on. So that was always very exciting, when we got to work on the new dance. MP: Was it at times overwhelming remembering all those dances from the past? MWS: Yeah. I had nightmares, always. Nightmares in my dreams. I had nightmares for decades after I left the company, that I was suddenly on stage and had forgotten the steps. Or I forgot the whole piece. So yes, but what you learn is that it’s all in you. And once you get out in the space with other people, it comes back. So you have to really trust. Trust the ability your body has and the memory, the physical memory that it has. MP: What would you say your most successful moment with The Merce Cunningham Dance Company was and why? MWS: My most successful moment? Well I guess that would be when he asked me to join the company. And it was again, like everything, either a carefully constructed occurrence or a chance procedure. Of course at first I didn’t think I was capable of it, but I had the scholarship so I stayed around for the free classes. I was working with other people in other companies when I could, but I had this big commitment to the scholarship. I had to be there every day in class, at least once a day. But then I got to the point where I saw there was no opening in the company, [Merce] wasn’t expanding it, so there was nowhere to go. So, I auditioned for another company that I got into, who were going to Europe for a long period. So I went to talk to Merce to thank him for the scholarship, and to tell him I was leaving, and let him know that I really wanted to dance with him. That took a lot of nerve, because he doesn’t make himself open to that. And it was a big lesson for me. You keep building bridges, even the ones you think you’re leaving, you keep things open. So I told him why I felt I needed to go, because I needed to perform. And so I went off, and I was gone I think for a year and half, dancing for two other companies. And then I ran into one of Merce’s company members on the street one day, and she said “you should come back to the studio because Lisa’s leaving the company”. Because [Merce] didn’t audition, you come and you study with him, and he trains you, and you evolve. So I came back to class, and made sure I knew when Merce was teaching. I took his class and at the end of class he usually goes off, he goes off to his office. But this time he didn’t go off to his office; he kind of just sat around on the benches, like as if he was going to have a conversation with one of the dancers, which he doesn’t do. And I just got this little feeling, like maybe [he] wanted to talk to me. So I went and changed, and then I hung around. And then we were both hanging around. And everyone had left. And he came out, and it was almost like he just bumped into me. He said “Oh Megan, someone’s leaving the company in august, would you like to join”? He didn’t say Megan I would like to talk to you after class, there was nothing. It was just like the whole time it felt like it could just have been luck. MP: So do you think, if you didn’t get that feeling, would he have ever approached you, or would it have just been a missed opportunity? MWS: He doesn’t pick people in his company based on arbitrary or sudden thought, so obviously he had me in mind. But if I hadn’t come back to the studio to take class he wouldn’t have sought me out. So coming back was really important. MP: Was it a challenge to come back after studying with other styles and other companies? MWS: No it wasn’t a challenge because of what I was doing at the time being. One company I was working with didn’t require specific classes; I just did ballet in order to do her work. And the other company was with Douglas Dunn who was a former Cunningham member. So it was easily transferrable. The only hard thing was that it was stressful, because I knew I wasn’t just coming back to take Merce’s class, I was coming back to get into the company. So I had this big desire, which was nerve-racking. MP: On the opposite side, what was your most challenging moment with the company and why? MWS: Maybe too, when I first joined the company, learning the entire repertoire off video by myself. Robert Swinston, a man who was just joining the company, and I, together had to work through the month of August, learning all the dances from the repertoire on a little TV monitor in the Cunningham studio. There must have been 6 dances or so, long dances. I had never done anything like that before; I’d never learned a dance off video. Never! So it was really hard getting the steps and then after two weeks joining the company, supposedly having the dance under my belt. The beginnings of things are always the hardest, there always so unknown. And the company didn’t make it easy. I felt like an irritant. “Merce, Megan’s in the wrong place”. Or “Megan you’re not supposed to be there”. You know, “that’s not where she’s supposed to be. She’s not supposed to be there”. It wasn’t easy. Also, a bigger challenge was keeping myself grounded through the very competitive constant that came with dancing for Merce. To keep my artistry separate from all the distractions and judgements, self and others, that comes from dancing at the perceived top of the heap. MP: I know Merce sometimes performed with you as well as created pieces. Do you think from your experience with him, that he enjoyed creating dances more or performing them? MWS: I think he enjoyed both. He loved to perform. He was always in his dances, always a soloist within. But, as he got older his solos would change because he couldn’t do the stuff we were doing anymore. But he’d still be there dancing alongside, just doing his version, the way he could do it. The first time I got to perform with [Merce] on stage, I mean it was so distracting to me because I didn’t realize the world he got in, what a performer he was. He was totally absorbed. But what I found so amazing, and I probably have said this in class before, is that he could switch roles from the performer to the creator to the teacher within an instant. As soon as he was not visible to the audience, he was right there with me saying “that’s right, that’s right, its ok”. He could be at that place, and just support what I needed as his partner. So it’s like he knew the magic he was creating, as both the performer and creator, and he was totally in it. But at the same time he was there as a partner and a person to support my own efforts as I performed his work. JoAnne Baker, Native Green, 1985, 610 x 280, Courtesy of The Merce Cunningham Trust. MP: Now when you became a fellow at the Cunningham Trust in 2013, and you got the opportunity to remount a piece from the past, why did you choose Native Green? MWS: I loved dancing Native Green. I was in the original cast, and a lot of people felt it was a dance [Merce] did for me, that he was interested in exploring some aspect of the way I danced. The piece started with my solo, and the days I worked with [Merce] in the studio was so amazing to me. The rest of the company was gone, and it was just us working. And on something new! It was the beginning of an adventure and he probably didn’t know where it was going. So it was this sense of total wilderness. And it was so confusing what he wanted me to do, but I loved doing all of that. I felt this connection to Merce in it, even though Merce wasn’t in the piece. I felt like in the creation of the piece, he gave me personally a lot of information about how he wanted it done. MP: So, you had a lot of insight? MP: I know for me, getting the opportunity to be in a remount of Native Green was a process and experience I will always remember. I just wanted to know your perspective on this whole process of remounting Native Green. Was it at all challenging or rewarding? MWS: It was very cool! And hard. It had different aspects: there was the time of working with you guys here at SFU, there was another time before that in New York, and then there was the other really lengthy time of re learning the dance from my notes, from Merce’s notes, and from video. And that was a real lesson! Everything was a lesson. When I first thought about remounting a dance I remember talking to Trish, a former company member and director of licensing, saying “I don’t know Trish, I don’t know if I can remember the dance, I don’t know what I would do with it, I don’t know if anyone’s interested”, you know. And Trish was like “don’t worry about any of all that other stuff. Just worry about yourself. Do you want to try and remount Native Green? Do you want to do this, just for you, nothing else”? And I realized I really did. It was a big challenge to me, all of it, because I didn’t know the whole dance, I just knew my part. In the end it was very rewarding. I’m grateful for the opportunity and the continued support from the Trust and dancers. MP: Now going off of teaching, why and when did you start teaching dance? MWS: I did a little bit of teaching when I was in the company but not very much. I remember feeling at times like I never wanted to teach because it hurt my body. I had to do things while I was cold, it wasn’t selfish enough, you know. I was used to keeping my body at the highest level of achievement, because that’s what I did when I was dancing with Merce. So when I really started teaching I had left dance. I had been gone for maybe almost ten years, having kids, and starting a family. And in that time I had done a little bit of teaching in high schools for non-dancers. And again, it interested me creatively what I could do with these people, but physically it didn’t interest me at all. So when I finally decided my kids were old enough, and that I could have a schedule away from them I started teaching in some studios around here. That’s when I started to enjoy it. And then when I found out about the SFU dance program and started to teach here, that interested me even more because the [dancers] had some awareness about Cunningham. So I didn’t feel like just someone without a history. I felt like I had this history that they understood, and I could impact them in a way that might make a difference in their lives. MP: So what are some of the accomplishments and obstacles you face day to day as a teacher, as an instructor? MWS: I wouldn’t necessarily say keeping everyone inspired and motivated is an obstacle, but it’s something that I have to keep constant attention to. Unlike someone like Merce who didn’t have to bother with that. You were either inspired or you weren’t, that was your problem. You know, he had other things to do. But to keep you guys I feel in a place where you can really get something that will help you both technically and as an artist is challenging. And then of course with a body that has danced as long as mine did, it’s physically hard on me. In The Cunningham Company we didn’t have understudies. If you were hurt you danced anyway, so you were hurting your body a lot. So my body has you know repercussions from that. And as I get older it’s harder. Even when I feel I have more to offer, understand more about teaching, I feel my body physically call for help. As a younger teacher that’s less challenging. However, the whole aspect of having to teach and be cold is really tough on the body. MP: So, who would you say is your biggest inspiration today and why, and in what ways have they affected your career? MWS: My kids are my biggest inspiration, and well they affected my career because they ended it! They were the ones that changed the course of my career. I decided that I wanted to have kids, and have a family. So that completely made a big change in my career path. They inspire me because I care so much about them, that everything they do has an effect on me. I recognize and I see their challenges. They’re grown now, but they still feel like my little kids. It’s like everything that occurs with them inspires me, because I see the challenge of what they’re doing. Also, honestly you guys, my students, inspire me – with the open human vulnerability of your presence, your dancing, and your growth. But that goes without saying or I would have left this teaching business long ago! MP: Are your kids involved in dance anyway? MP: Did you ever try to make them learn? MWS: Like you mean if I ever got them to try to dance? MP: Yeah. Was it ever their passion? Did they follow in your footsteps in any way? MWS: So I have two sons and a daughter. My sons were interested only in hockey. I was teaching dance when my daughter was little, so she took my classes for a while. I knew right away, this wasn’t going to be her path. It wasn’t so much that she was disinterested, it was more that she wasn’t super interested. And that her physicality I knew was probably not the best for dance. She was very earthy. “Come on Kelsey, jump”! So it wasn’t her thing, but I didn’t care. There was no pressure at all. I just thought dance training is helpful for so many things, that I thought it would be nice background for her. MP: Knowing that you teach Cunningham, a technique created in the past, do you ever feel pressure to make sure the history and importance of that specific style is translated in the correct manner? MWS: Yes definitely! The fact that I am not teaching a technique of my own, I feel a big responsibility to Merce and to the Trust, but mostly to Merce. To get it, to get it right, to make sure you guys understand what [Merce] was doing and you get an experience of what he was like. So I feel him watching often, and I’m aware of that. I just want him to be proud of you guys the way you all make me proud. And I want you to be able to learn from him the way I did. MP: Going off of that, I know in class you always talk about stories from the past and stories of Merce. Personally, that really helps me physicalize the movement and my dancing. With so much history in dance coming from your background, does that help you in any way as a dancer and artist? Does that history contribute to who you are today? MWS: It is who I am, it absolutely is! I am my history, I teach my history. As I teach, I understand who I am. That’s why when students say to me they want to teach next year when they graduate, I’m a little floored. Because, what are you going to teach, I mean you don’t have enough life under your belt, to teach. You may be able to teach a tendu, but that has nothing to do with it. When I first started teaching Cunningham really regularly, which was when I came to [SFU], I actually started to understand the technique better than when I danced it. Not that I did it better but I started to understand more of it. Before I was just one with it, I didn’t think about it, I just did it. Whereas when I began teaching I had to start to learn what Merce was really doing here. Same thing with Native Green, I just did it. But when I went back to do the remount, I saw the entirety of what Merce was doing, and learned more, which was astonishing. Mark Seliger, Cunningham in Rehearsal with Dancers, 2000, 1800 x 1199, Courtesy of dancingperfectlyfree.com. MP: So is there one thing that you will always remember about Merce himself, whether it was the way he worked, or the pieces he produced? Like if you had to pick one thing about him, that you would remember, that will always stick with you, what would it be? MWS: His artistry, his way of being so involved and committed to this work he did. I think about it all the time when I’m teaching you guys. He was so committed to us, so much of his whole life, whether it was in class time, or repertoire time, or choreography time. He needed us. He needed us to do it. He maintained that connection to us without being the kind of person that wants a lot of personal connection. Like just in his force of personality as an artist. No matter what, his desire to just keep going on, his work ethic, his commitment to his [his work] was inspiring. He had this thing he said once, “it could be a beautiful day out, and then the next day it could be snowing or raining really hard, and either way you had to slosh through it and get through the day”. And he was like that. I mean his body must have hurt him all the time. And he would just every day get up and do this, never took a day off, you know, just always working, discovering stuff, exploring movement. So, to be with someone like that, is an honour. I don’t know if I’ve ever been around anyone else quite like that. MP: Merce truly sounds like a remarkable individual and his brilliance and artistry is evidently shown through his work. Thank you again Megan for taking time out of your busy day to speak with me today. I really appreciate it. 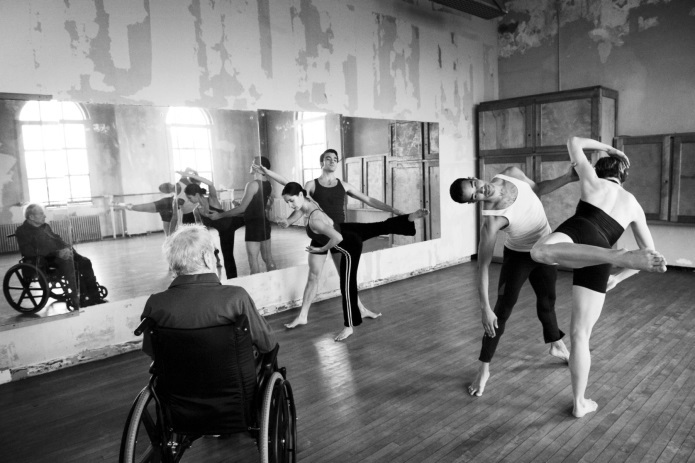 “Merce Cunningham Trust.” 2013 Fellows. Larson Associates, n.d. Web. 24 Jan. 2015. “Rare New York Dance Piece at SFU Vancouver.” University Communications – Media Release. Simon Fraser University, 26 Mar. 2014. Web. 23 Jan. 2015. University, 14 Mar. 2014. Web. 24 Jan. 2015.